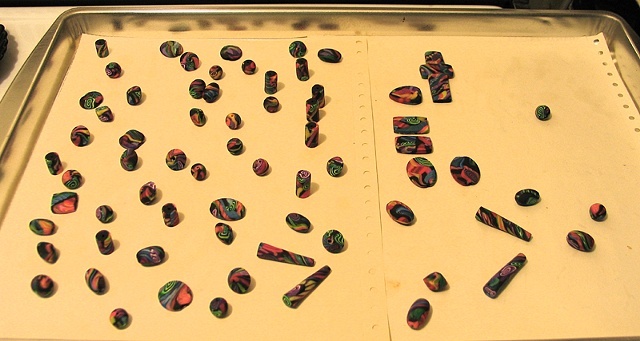 Polymer clay bakes/cures in the oven at low temperatures for about 20 minutes. I do enjoy the immediate gratification from not so involved processes with this clay work. Of course the many hours of clay shaping and forming was demonstrated in the previous shots but that is fun, creative, play and therapy for me.